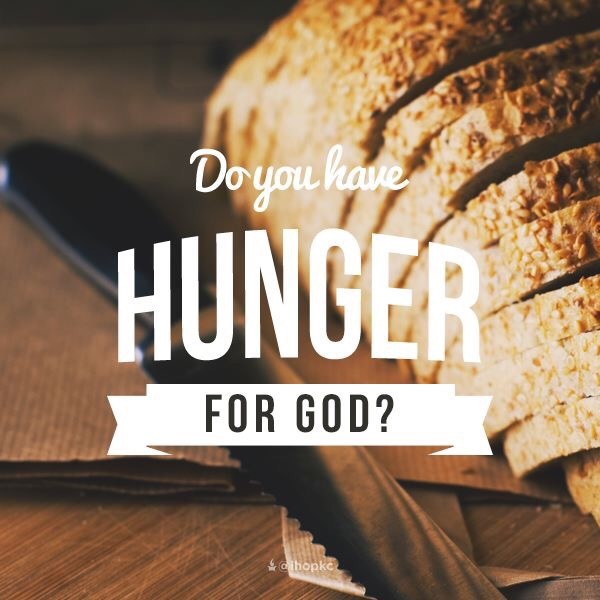 HUNGER FOR GOD | Reflection of Glory! January is a time for new goals and resolutions to be made. It’s the first month of a new year and so many of us take this time to re-evaluate our lives. What are we doing that needs to be stopped? Do we have some self-destructive behaviors that are undermining our progress forward? What do we need to start doing? Are there things that we know we should be doing, but for whatever reason, we are not doing them? And, of course, one of the major things that seem to come up is diet. Losing weight and getting healthier physically is the focus for many people as the new year begins. I pray that during our focus on food and the hunger that arises as we begin to change our eating habits…we shift our focus to God. I pray that our hunger for physical things will be replaced with an increasing hunger for the Lord. I pray that as we go over different exercise plans to get our physical bodies into shape…we will begin to get our spiritual lives into shape through the different “exercise plans” that the Lord himself has set before us. May we be more intentional in our Bible reading; our worship; and our prayer during 2016. May we be more intentional about drawing near to the Lord and deepening our relationship with Him. May the LORD Himself stir up a HUNGER within us for more of His presence actively moving within our lives!! May it be so, LORD! !